Depression is very common :Some people don't really understand about depression. For example, they may react to a depressed person's low energy with criticism, yelling at the person for acting lazy or not trying harder. Some people mistakenly believe that depression is just an attitude or a mood that a person can shake off. It's not that easy. Sometimes friends or family members recognize that someone is depressed. They may respond with love, kindness, or support, hoping that the sadness will soon pass. They may offer to listen if the person wants to talk. If the depressed feeling doesn't pass with a little time, friends or loved ones may encourage the person to get help from a doctor, therapist, or counselor. Sometimes even people who are depressed don't take their condition seriously enough. 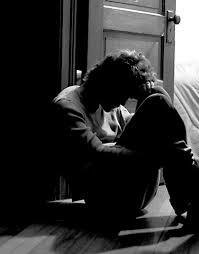 Some people feel that they are weak in some way because they are depressed. This is wrong — and it can even be harmful if it causes people to hide their depression and avoid getting help.